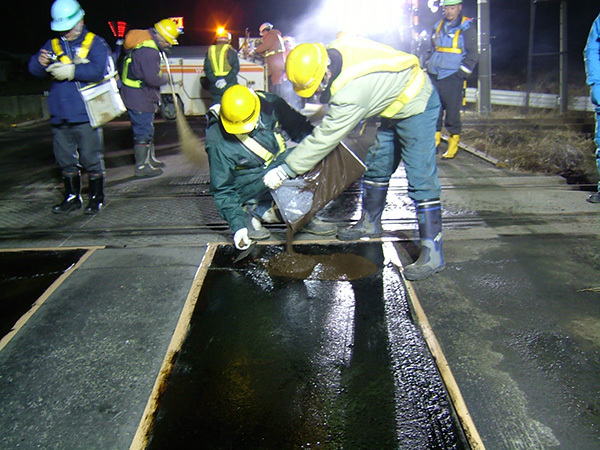 SNOWPATCH is a cold applied asphalt emulsion mixture for the purpose of repairing paving bumps and fixing potholes during low temperature periods. Two types are available, consisting of a fine graded type and a coarse graded type. In the same way as for ROMENPATCH, after pouring the asphalt emulsion in to the transparent bag containing the aggregate, mixing can be carried out simply by shaking the bag. Pour the mixture to the location that you wish to repair, and use a trowel to carry out the finishing. The trouble of weighing and of using machines will not be required. 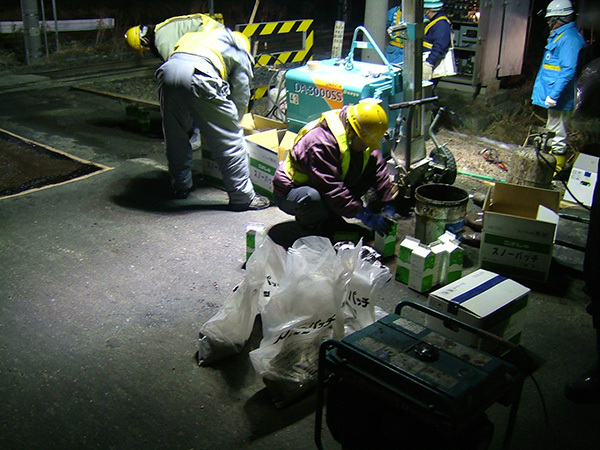 Hardening is fast even under low temperatures (0℃ to 10℃), so that opening to the traffic can be carried out in a short period. Implementation is possible even when the primer is wet. Because implementation does not require special machinery, work will be easy.